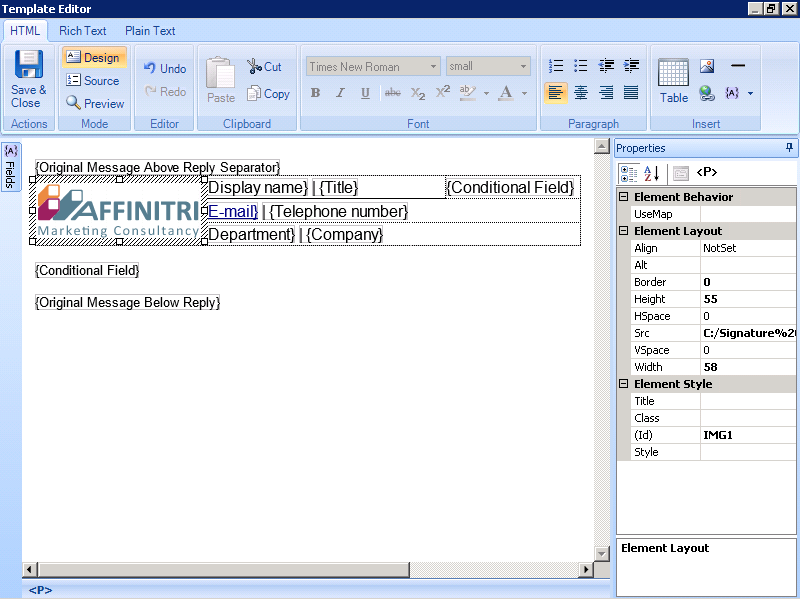 Create an email signature template using text, images and dynamic fields with dedicated Exchange signature software. 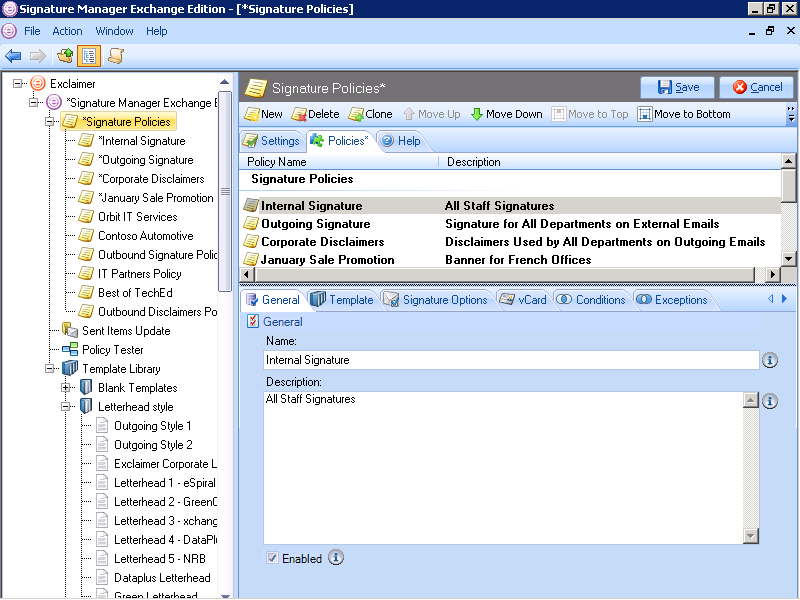 Exclaimer Signature Manager Exchange Edition is an Exchange signature management solution designed for centrally adding professional email signatures to all emails processed by a Microsoft Exchange server. That means Exchange signatures can be added to any device or client including mobiles. Centrally manage all your organization’s email signatures processed by Exchange. 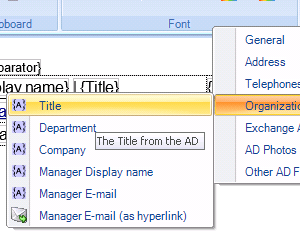 Get consistent signatures on all email with auto-completed details like names, departments and job titles pulled from your Active Directory. Design the perfect email signature template with logos, legal disclaimers, marketing banners, social media links and more. 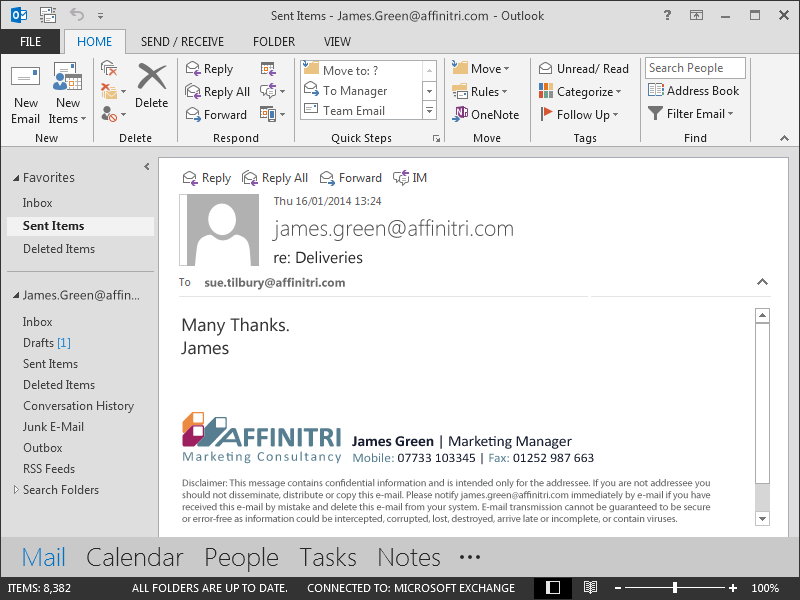 Vary email signatures for different teams and departments. Get full HTML signatures on all devices including mobiles (iPhone, Blackberry, Android devices, iPad etc.). Easily update and distribute every signature in your organization with a single click via Exchange. End users don’t have to do anything to receive a new email signature. Why do you need email signature software? I recommend Exclaimer Signature Software to everyone. This is what Exchange is missing. Define email signature conditions with a full range of extensive policies. One policy can trigger rules that let you decide which user should get a certain email signature. 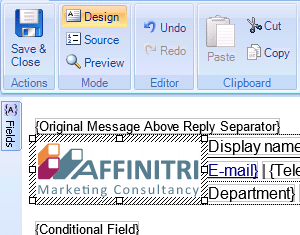 Easily design rules so different departments get different email signatures i.e. give sales a signature with a promotional banner and give legal a signature with a lengthy disclaimer. Use date-based rules to add a promotional banner for an upcoming event or special offer, then automatically remove/update it where needed. 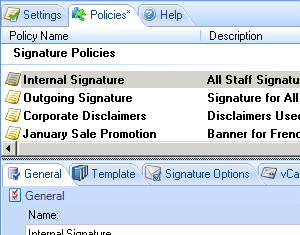 Create signatures that are for internal use only and are designed for specific circumstances. Have longer email signatures on the first email and set subsequent replies with signatures that contain only essential details. Base rules on data only Exchange can capture i.e. the email recipient, send date etc. Check your signatures before you deploy. 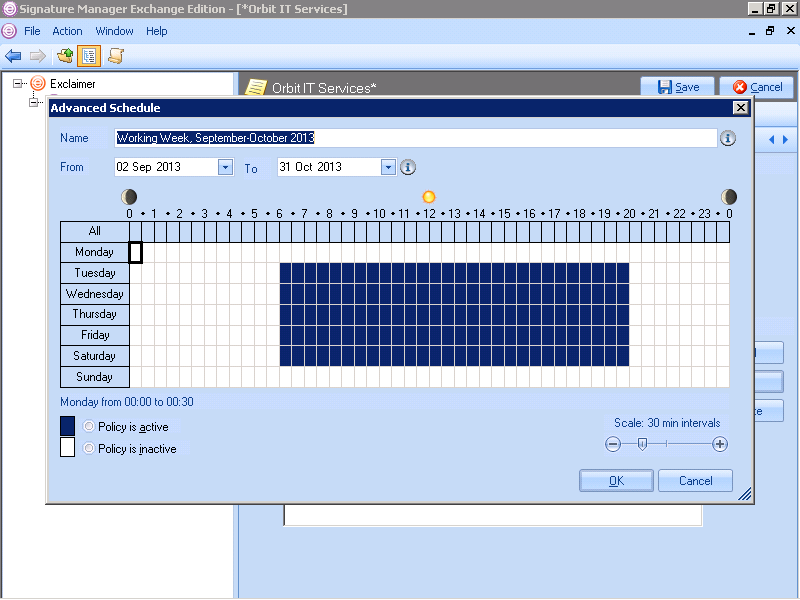 Use the Policy Tester which provides a graphical interface of who will get a particular signature. With email signature software installed on an Exchange server, IT administrators can ensure that all users have a full, dynamic and professional email signature without having to visit every PC within an organization. 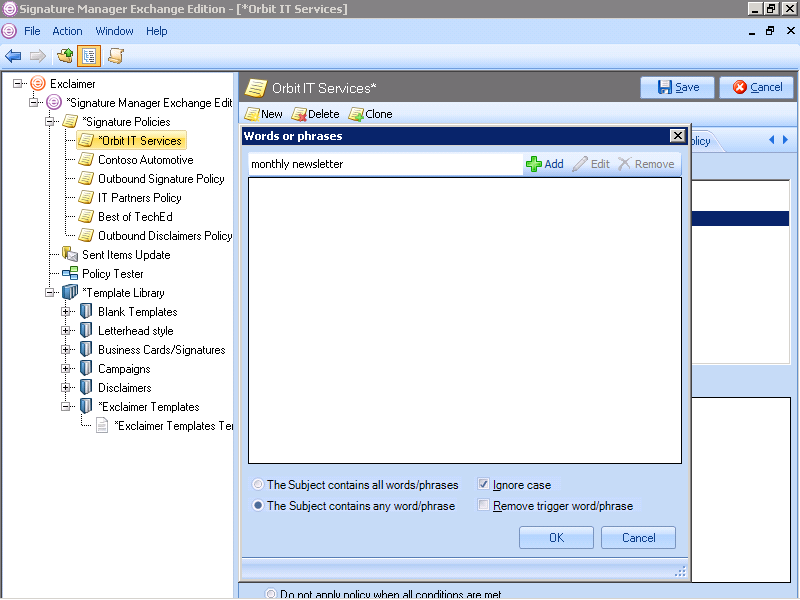 All content is loaded on the Exchange server, so it’s guaranteed that everything will be applied to all email signatures. Convert all plain-text email signatures into full HTML no matter what device the email is being sent from including mobiles i.e. smartphones (iPhone, Blackberry, Android products etc.) and tablet PCs (iPads). Apply all updates instantly through Exchange, so email signatures can show something like a recent Tweet in a social media feed with up to the second accuracy. Every user gets the same email signature wherever they are located and don’t get the chance to modify their individual signatures. Download your free 30 day trial of Exclaimer Signature Manager Exchange Edition to start managing Exchange signatures today. Do different employees within your organization want to choose their signature and see just how their emails will look as they type? 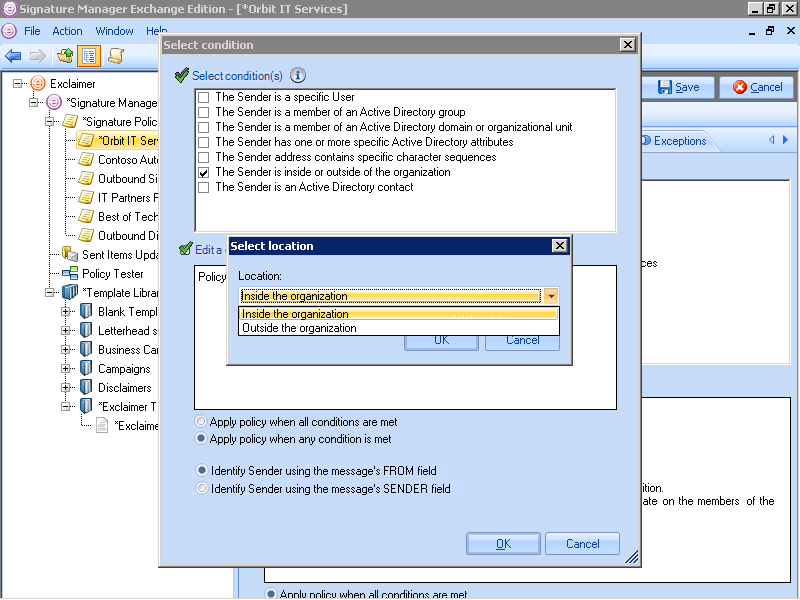 Signature Manager Outlook Edition is the perfect partner for Signature Manager Exchange Edition and both software applications are designed to work together. 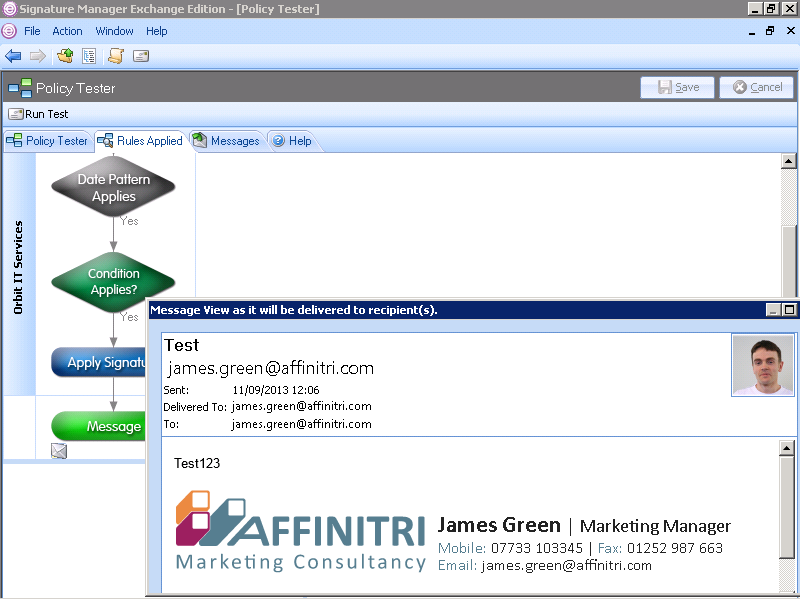 It easily allows users to choose their email signature as they send and see it as they type their message. 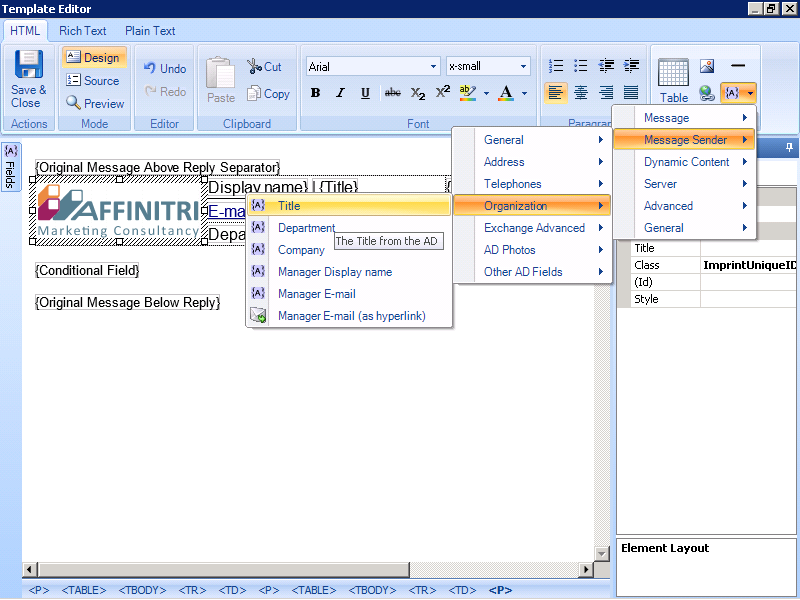 You can also specify the font and format of all emails and allow users some control over their contact details. When purchased with Signature Manager Exchange Edition, you get Outlook Edition at half price. We know email signatures better than anyone. So much so that we’ve written the official Dummies guide. Struggling to create the perfect email signature? Finding it difficult to create something unique for your business? Then let us do all the hard work for you! Our design team have created signatures for thousands of organizations and are the experts in email signature best practise. We can design you a professional HTML signature with dynamic content that fits your brand perfectly, decide who should receive it and preview it with your users' contact details. Talk to us today about our email signature design service. Remember, we know our stuff and wrote the Official book on signatures. Combine static text with images like a corporate logo, then add dynamic data like a sender's name or job title to create an email signature template that suits your organization. Use the powerful editor to create the exact email signature you want or choose a template from our extensive library. Use an email signature to increase brand awareness and portray a professional image to recipients. Create promotional banners for events, sales promotions and other activities. Let users ‘Follow’ or ‘Share’ your social media profile through clickable buttons in your email signature. Use the ‘social media strip’ feature to drop in a pre-made and customizable strip of interactive social media buttons. Add a dynamically generated QR code, with dynamic merge fields that are personalized with each user’s details. Enhance email signatures with personal or corporate awards and certifications. Signature Manager Exchange Edition is the Microsoft Certified successor to the multi-award-winning email signature software solution, Mail Disclaimers. Give marketing the freedom to design email signature templates without having to get the IT department to implement a costly and time consuming solution. 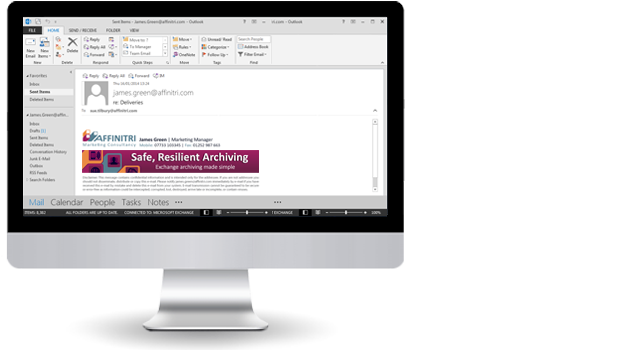 Exclaimer Template Editor is our all-purpose signature editor to allow marketing to build email signature templates, while staying away from complex and precious IT assets. This powerful Microsoft Certified software is compatible with Signature Manager Exchange Edition, Outlook Edition and our Auto Responder software. Not sure about some of our features? Talk to a sales advisor who can explain everything Signature Manager Exchange Edition is capable of.